Aggression in a dog is unacceptable. As it’s owner, you are responsible to make sure that you have full control over the animal and that in doing so your dog is not a danger to another dog, member of your family, or member of the public. 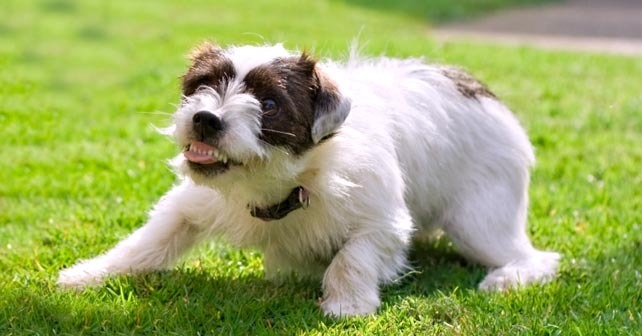 There are varying types of aggression in dogs, and discovering what strain of aggression your dog is exhibiting is will help in understanding how to get rid of it. Dog behaviour is complex and stems from wild instincts before dogs were domesticated. Whilst the dogs we have in our homes are more accepting of humans, they can still act aggressively when allowed to do so. Most frustratingly of all, we shower our dogs with love and kindness, only to have aggression and possessiveness that have never been taught to the dog appear. The only way to control aggressive behaviour is to understand how a dog works, and this means understanding a dog’s behaviour. Dogs, since long before domestication by humans have lived in packs. Many animals form a complex social hierarchy within their respective groups. This behaviour is not only prevalent in dogs, but has even been documented in fish and though we often don’t realise it, it happens with humans too. A social hierarchy allows for natural order and creates relative harmony where each animal knows ‘its place’. We refer to groups of dogs as ‘Packs’ and in the wild for instance, wolves, (a dog’s closest wild relatives) have groups that operate in such a way to make sure that they can survive. These hierarchies are ranked in order of dominance. The ‘top dog’ is the most dominant. He will be the first to eat and get the best sleeping spots. The others in the pack will have to conform around this. In the home, YOU should be the leader of your pack. YOU should be the one to get the best sleeping spots, and should make sure that your dog knows its place. There are several ways to make sure your dominance with your dog. The dominance displayed in dogs is incredible subtle and if you have an aggressive and possessive dog, it’s most probably YOU that’s the problem most often without you knowing it. Come meal times make sure the humans of the household are fed first. Only after you have cleared away the dinner preparations, should the dog be allowed to eat. Do not feed the dog scraps from your plate while you eat. You eat first, he does after. Dogs will often sleep in doorways, or the top of flights of stairs as a natural way to be able to keep guard. Upon wanting to enter a room, get your dog to move from the doorway. Stepping over him, lets him know that he’s too important to move and that you’ll alter your behaviour, to suit him. Ideally, your dog should not be allowed to jump up on the furnishings, or the bed. For some dogs, this won’t be a problem, for others aggression can arise. If you have an aggressive and possessive dog, the best thing you can do is to forbid him on the furniture for good. Try not to come in and leave your handbag or shoes by the door. To a dog, these smell like they belong to you, and he might decide to guard them for you should another family member try to pick them up. Remove the chance of this behaviour happening by putting them away appropriately, out of reach from the start. Scolding your dog while it lays against the wall is not the best place to do so. Give the dog enough space when you scold so that you are not intimidatingly looming over him. Aggression can strike out of fear. Dogs are intelligent creatures and thrive on knowing what comes next. Our lives have natural routines, we get up to same sound of the alarm every morning, we get dressed, go to work, come home, eat around the same time and go to bed. Throwing off your routines can cause stress to a dog, when his normal day is disrupted. Many dog owners can recall a day when the dog has woken them only to watch the dog get back into bed. Setting a strict daily routine can make such a difference to your dog’s behaviour. If you feel like you don’t have a routine in your day, taking a few weeks to implement one into your dog’s life can lead to seeming like you have a totally new dog. Try it and see if you notice a difference. There are several things you can do, to promote a healthy routine. Taking your dog out in the morning or evening at the exact same time every day is the perfect start. You’ll notice with this, that the dog will not bother you all day until the time he knows his walk normally happens. Once you have established this routine, even if you one day forget, the dog will remind you. The same can be applied to meal times. Not only will the dog eat more once the food is placed down, but he will also be more regular and predictable when it comes to needing the toilet. All these steps will calm and relax the dog, as he knows exactly what to expect. Whilst it sounds silly, tug-of-war games with your dog require you to fight over a toy. During play make sure you win most times, and above all when you want to finish the game, take the toy away or throw it so the dog has to catch it. Don’t end a period of play with the dog winning the toy. Aggression needs to be tackled from the moment it happens and should not be tolerated in the home, or out at the park. Should I Neuter/Spay my Dog?